A call to action or “CTA” is a prompt on your website that asks users to take a specific action. Most call to action copy is written as an imperative, or request, like “Sign Up Today” or “Buy Now.” CTAs come in the form of buttons and hyperlinks. Practically every digital marketer and business owner want their customer to take specific, measurable actions when they arrive on their website. Clear call to action content drives the correct activity from your audience. A call to action is an important aspect on any webpage. Call to action links and buttons act as signposts telling users what they need to do next. Without clear CTAs, users may struggle to see the route to buying a product or signing up for a service. Eliminates decision fatigue: Simple directive statements tell your clients where to go and what to do next, simplifying the user journey. Directs your audience: With a clear call to action, you reduce the risk of your audience clicking away from your page due to confusion or feeling overwhelmed. Improves conversions: The more people you convince to follow your CTAs, the more leads, customers, and prospects you get. Something as simple as a button saying “Download Report” is enough to move a customer to the next stage in their buying journey. What does call to action content look like? Exceptional design: A brightly-colored button or link that contrasts with the page design is excellent for attracting user attention. Proper placement: Call to action content needs to be the most visible thing on the page. The location of the CTA should command attention. Clear benefits: Effective CTAs are benefit-oriented. Highlight the advantages a user will access by completing a specific transaction. Actionable text: Writing in the imperative clarifies a CTA. 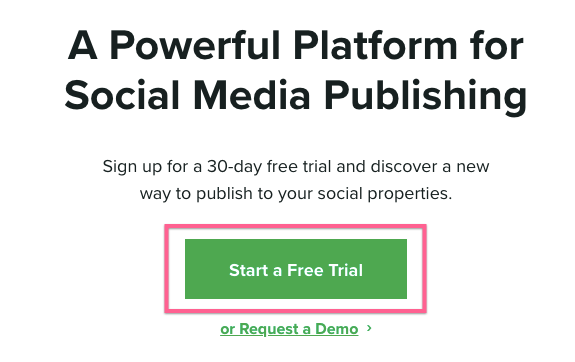 Action-driven text like “Start Your Free Trial” promotes conversions. Short length: A CTA must be short enough to fit into button format. Stick to five words or less. Many businesses also track the results of their CTA content and buttons carefully. By measuring the results of each design, brands determine which words and phrases have the best impact on conversions.